KRITHI XNUMX has come up with a mega scheme to offer helping hands for libraries affected by flood. 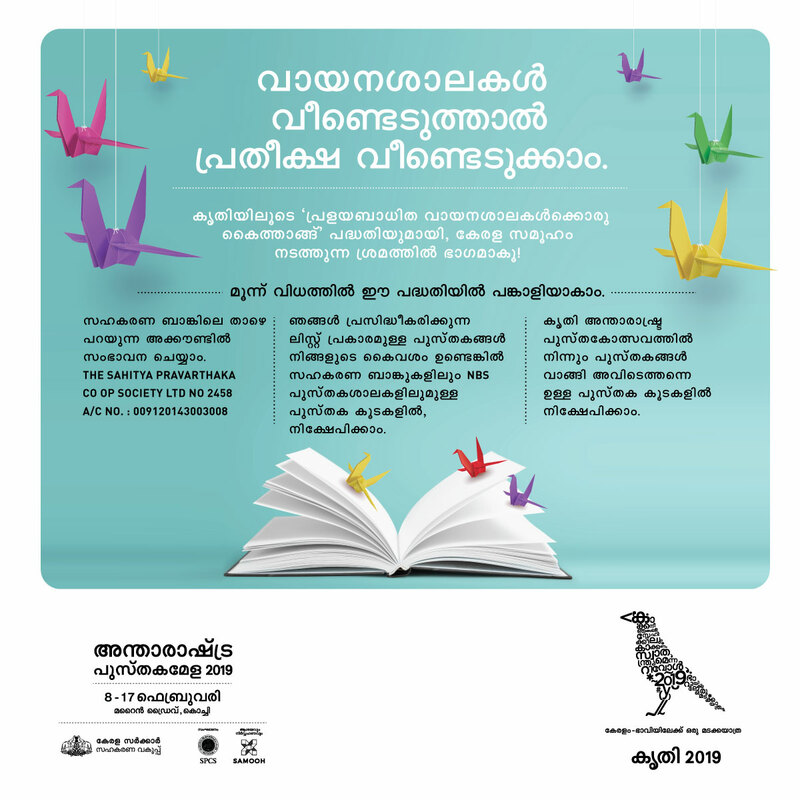 Crowd sourced campaign is conducted to source books and funds for replenishing lost books in these libraries. Visitors at KRITHI can also contribute books at the kiosks set in there. A bank account exclusively meant for receiving funds towards this scheme (Kerala State Co-operative Bank. Account No. XNUMX. IFSC Code : IBKLXNUMXKSXNUMX) is opened. Campaigns are being run to urge business houses, Organizations and people to contribute funds.